The Energy Charge is simply the amount of electricity (kWh) used times the rate. This charge covers the costs of purchasing and delivering energy from our power supplier and pays the remaining fixed costs that are not covered by the facility charge. For example, if you had ten, 100 watt light bulbs turned on for one hour you have consumed 1 kWh. At the residential rate it would cost you .071 cents. 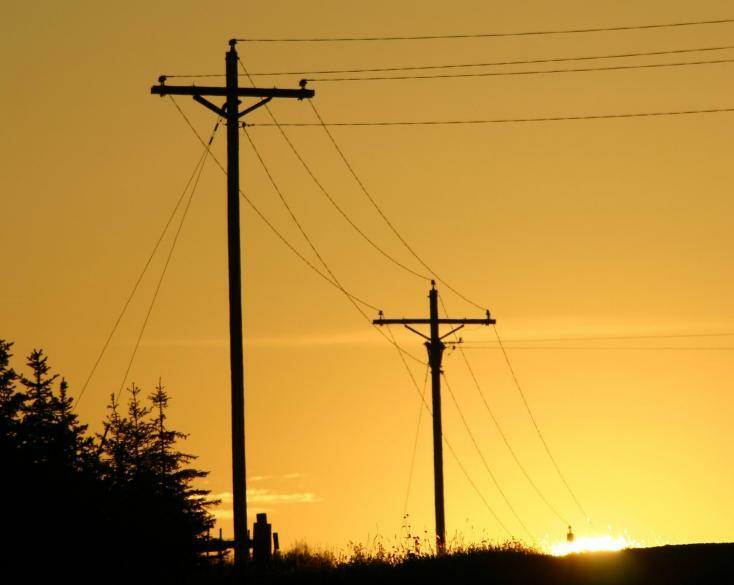 Lower Yellowstone Rural Electric Cooperative serves a diverse membership. Some of our members use a lot of electricity all year long, and some may use electricity only a few months out of the year. Whether you use a lot or a little, the cost of getting electric power to your location remains the same. Many utilities, such as your home phone, cell phone, cable or satellite TV service utilize some form of monthly charge to cover the cost of providing service to your home. So, when you need electricity to heat or cool your home, pump your well, refrigerate your favorite beverage or irrigate your fields, all you have to do is flip a switch, throw a breaker or plug into an outlet. What happens before that flip of the switch is a significant commitment of time, capital, equipment, infrastructure and people your cooperative has in place to ensure that power is there when you need it. The Facility Charge--It's the key to reliable electric service. The Capacity charge is used to pay the costs of maintenance and overhead of poles and wires so the capacity is available when requested. Larger transformers require heavier infrastructure and heavier infrastructure cost substantially more. A capacity minimum charge is derived from the size of transformer or transformers a service requires. For services requiring more than 15 kVA of transformer capacity, the capacity minimum monthly charge shall be $1.00 for each additional kVA. For example, a single phase service with a 25 kVA transformer will have a monthly minimum charge of $25. The base rate is $15.00 and the additional $10 is for the kVA size (25-15=10). If the member uses at least 141 KWH’s a month, there will be no monthly capacity minimum charge because the 141 KWH’s will make up the $10 for the additional 10 kVA (.071/kwh X 141=$10.01). If this was a house with 0 usage the service will be billed the $15.00 base rate plus $10.00 capacity minimum to equal the $25.00 minimum monthly charge. Typically, a 10 kVA transformer is sufficient for a standard home that does not use electric heat. A home using electricity for heat may need anywhere from 15 to a 25 kVA or more depending on the size of the home and type of heating units. Most residential services will not see any charge for the capacity minimum charge unless the residence is unoccupied or the residence uses less than $10 of kwh a month. The Demand Charge is based on the highest capacity required during the given billing period, typically a 15-minute interval during the billing cycle. To use an analogy, think about consumption (kWh) as the number that registers on your car's odometer-to tell you how far you've driven-and demand (KW) as what is captured on your speedometer at the moment when you hit your max speed. Consumption (kWh) is your overall electricity use, and demand (KW) is your peak intensity, or maximum "speed." Within any business there are numerous electrical loads. As an electric utility we are responsible to insure during periods of peak loading in summer or winter that our electrical system; e.g. wires, and transformers, etc. are sized properly to deliver continuous service. It may only be for a couple hours per month, but our system needs to be built to handle the peak electrical load. Commercial and Irrigation accounts include a Demand Charge on their billing to allow the cooperative to recover costs associated with the larger electrical loads placed upon the system.